An elaborate scheme involving a Nike employee, a former Nike employee, and third individual continues to develop. Have you ever wondered how those rare PEs, samples and friends and family exclusives hit the resale market? This developing story may answer at least some of those questions. * Jason Michael Keating, of Florida, was arrested and charged with recieving stolen property, aka, sample sneakers. * Tung Ho, who worked as a promo product manager and was able to order sample shoes, was seen under surveillance leaving Nike's campus with samples and arriving at a self-storage facility to unload boxes believed to hold shoes. * Kyle Yamaguchi, who held the same position as Ho for five years prior to leaving Nike in the spring of 2012, recieved large cash deposits and funds transfers from Keating's account to the tune of at least $221,000, which he told bank investigators was recieved for a large shoe collection he was selling on behalf of another individual. * Between November 2012 and March 2013, checks totaling $104,000 were written by Yamaguchi to Ho. * Following a search of Ho's home, close to 1,950 pairs of Nike's were siezed, along with a large amount cash. Ho has admitted to stealing several hundred pairs of samples from Nike. He explained that he would order samples from China, then sell them on eBay or through Yamaguchi. * Ho and Yamaguchi have not been arrested. 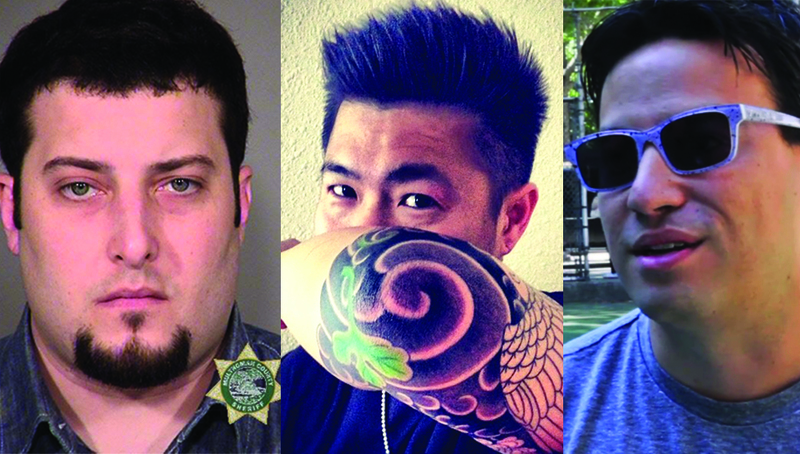 * Former Nike employees Kyle K. Yamaguchi, Tung W. Ho and Denise W.C. Yee, have all been been named, as well as Yamaguchi's wife, Shu-Chu Yamaguchi, and the previously arrested Jason M. Keating. * Among the allegations, the lawsuit alleges trademark infringement, fraud, and breach of contract. * The scheme, according to the complaint, dates all the way from 2006 to 2014. UPDATE 7/11: According to the latest update, Keating, Yamaguchi and Ho were all indicted by a federal grand jury on charges of working together for several years to steal and sell hundreds of limited edition sneakers. * Ho also faces counts of wire fraud, Yamaguchi is also accused of interstate transportation of stolen goods and Keating faces an additional receipt of stolen goods charge. * The indictment filed Wednesday states that Keating paid Yamaguchi nearly $680,000 for more than 630 pairs of allegedly stolen Nike shoes between September 2012 and March 2014. *Keating, the only one of the three men that’s been arrested so far, is scheduled for a July 19 appearance in US District Court in Portland. Keep checking back as more details unfold in this case, and let us know your thoughts on this situation. Does it come as a surprise, knowing how many rare samples make their way to the resellers market? Did you ever think about where they came from?